Welcome to Bhutan- the land of fresh air, pristine nature, gorgeous mountains, lush valleys, thundering rivers, green forest, authentic culture, the friendliest people; the list goes on and on! Once you arrive in Bhutan, it doesn't take much time for you to vouch that Bhutan indeed is beautiful! 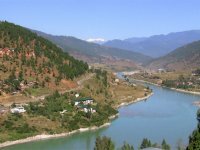 Bhutan is the only carbon-negative country in the world. It's more than 70% of the land is covered by forest that can absorb three times the amount of carbon than it produces! Politically stable, Bhutan is also among the safest country in the world for travel. Bhutan- a country without traffic lights- where childless people visit the 'fertility temple' for the blessing, the national dish is curried hot pepper- and the people follow the doctrine of 'Gross National Happiness' is undoubtedly a must-visit destination. 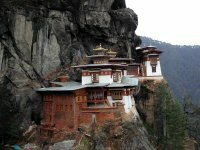 Bhutan is a small country but there are a large number of places to go and sights to see: historical monumets, religious shrines, temples and monasteries, arts and craft schools, museums with rich collection of artifacts, high passes with mountain views, villages with traditional houses etc. Bhutanese festivals known as Tsechus are religious events. They are held on the 10th day of lunar month that corresponds to the birth day of Guru Rimpoche who introduced Buddhism into Bhutan, however the date varies for different monasteries. The festivals are colorful, involves series of mask dances performerd by monks and laymen and draws a great number of local villagers who dress in their best attire. With exception to a few international chain resorts and boutique properties, majority of the hotels in Bhutan are small with 15 to 40 rooms. They are built in traditional architecture that blends with other structures. They offer adequate amenities and comfort such as en suite bathroom, running hot and cold water. 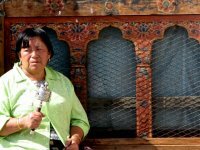 Enrich your travel experiences in Bhutan by joining local rituals and rites, visiting farm families, sipping tea with monks amidst discourse on principles of Buddhism, practice archery-the national sports of Bhutan and there are more! 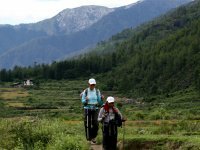 Bhutan can be traveled throughout the year but spring (March, April, and May) and autumn (September, October, and November) are the best seasons when you have pleasant weather, clear blue skies and great views of the valleys and snow-capped mountains. Late autumn is also the time of year when the black-necked cranes migrate to central and eastern Bhutan for the winter. Bhutan’s currency is called Ngultrum and denoted as Nu. The value of Ngultrum is at par with the Indian rupee which is also in wide circulation in Bhutan except the large bills (Rs 500, Rs 1000 and Rs 2000). In fact, Indian government has demonetized Rs 500 and 1000 bills. Most hotels, tourist class restaurants and souvenir shops accept major credit cards such as MasterCard and visa. 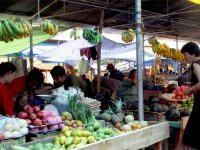 AmexCards are not accepted by many vendors though. However, small stores do not accept credit cards. 1.How long before should I start planning? A:There are limited hotels and flights to Bhutan. Spring and fall season are the busiest tourist seasons. If your trip times with a local festival, there will be higher demand of hotels and flights than usual. The airline and hotels usuallys start accepting booking one year before and they fill up soon. So, your operator should be ready to book the reservations as they open up. So, strat planning your trip as early as possible. With so much myths about Bhutan, rumors about the quota, so-called high royalty and limited flight options and what not, it can be confusing when you are planning a trip for Bhutan. In fact, it's not that complicated as it sounds to be but it's true that you need to start planning well in advance, usually a year before. Unless you are employed in Bhutan or you are a close relative of a person employed in Bhutan or you are a Royal invitee, all foreigners except Indians must process their Bhutan visa through a Tour Operator. Book a trip with us and supply us your passport information, occupation and home address details and leave the rest to our expert hands. 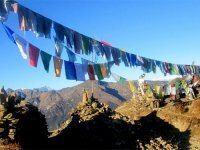 Bhutan visa processing is a part of the tour arrangement. There is no need to be overly worried about health while traveling in Bhutan. With proper vaccinations and following some safety measures, you be fine.Visit your primary physician about 6 to 8 weeks prior the trip date and make sure you are updated with routine vaccinations. 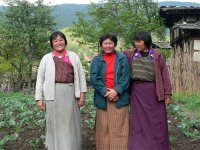 We also encourage you to visit the website of Center For Disease Control and for health information for travelers to Bhutan. How to get to Bhutan and Away. 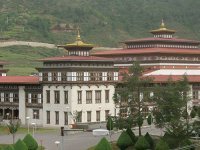 There is a wrong perception that Bhutan is an expensive destination because of government controlled tariff but what we shouldn't forget is that the daily tariff includes almost everything: three star hotels, three meals a day, accompanying guide, transport, sightseeing admission fees and government royalty. All you need to pay out of your pocket is the airfare, personal expenses such as drinks, tipping, souvenir purchase etc. Bhutan is almost worry-free travel destination and we don't find any adverse travel advisories against Bhutan. There is very little or no crime even in larger cities such as Thimphu. A very rare cases of pick-pocketing and purse snatching have been reported. Intermittent cases of burglaries, theft, robbery and assaults can be read in the newspapers but we have no knowledge of any foreign travelers been victim of such incidents.